Abigail Ackerman is a New Jersey school teacher at Hamilton School and is truly an everyday hero. However, in November 2015 life took a drastic turn for Ackerman and she was diagnosed with cancer, Primary Mediastinal Large B-Cell Lymphoma. We heard about her story through our Incredible Kids contest held earlier this year. Ackerman submitted her former student Hannah, who not only won our contest, but left a mark on our hearts. Ackerman grew up in Bethlehem, Pennsylvania with her two brothers, sister and her parents who are both former educators; her father is a retired principal and her mother a retired kindergarten teacher. Following high school, Ackerman attended Penn State University and continued her education at Moravian College, where she received her Master’s in education. November 22, 2015 is a day Ackerman will never forget for a few reasons. This was the day she intended to move into her and her husbands newly restored farmhouse. It was also her parents anniversary, a dear friends birthday and it was the day she was diagnosed with cancer. This day was the day that time literally stood still, and her life went in the complete opposite direction. While telling family and close friends the horrible news, the hardest part for Ackerman was sharing the news with her students and their families. 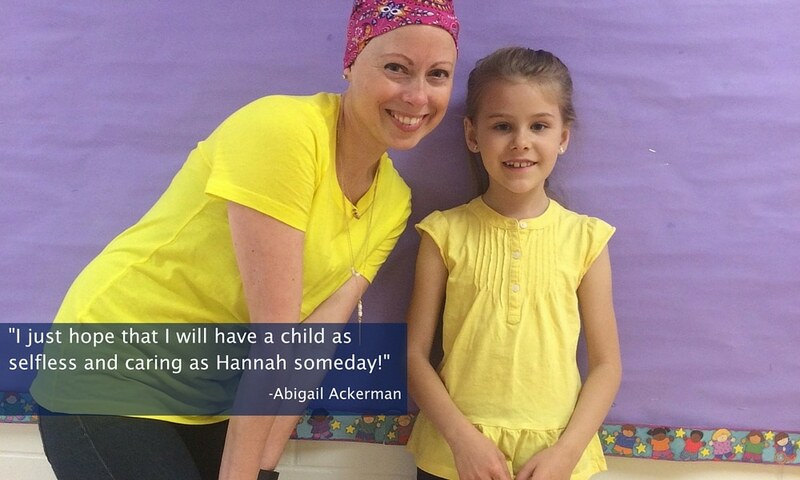 At the time of Ackerman’s diagnoses, Hannah was a student in her kindergarten class and as she explained, telling her students about the cancer was the hardest part of all. 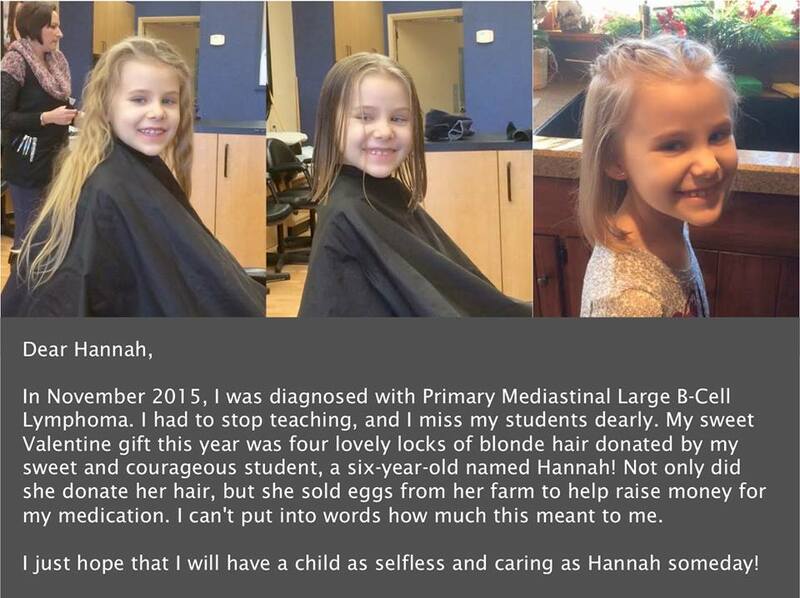 Hannah, who is now in first grade, did the unexpected after finding out about her teacher’s illness. This is Hannah and Abigail’s story. As we explained above, we heard about and became inspired by Ackerman’s story through our Incredible Kids contest. After reaching out, we became aware of the amazing news that Ackerman was officially in remission. **Editors note: Ackerman is currently residing in New Jersey and teaching in Pennsylvania.